Check out the wrap on each from two veteran ROLLERers. A big thanks to Bethany Evans and her team for putting on yet another fantastic IATP conference, which was located at the Marriott Harbor Beach Resort in sunny Fort Lauderdale, Florida. If you haven’t been to IATP and you’re interested in connecting with trampoline park community then I would highly recommend getting your passes for next year as it’s a fantastic way to network, say hi to industry leaders and get a chance to see the new and exciting products coming out for your park. ROLLER was busy all conference talking to amazing venue owners, both new and established, to discuss emerging trends in the market and find out what their key challenges were. One common theme that clearly has developed in the industry is “automation”. 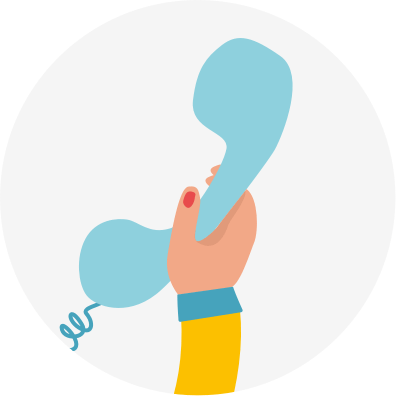 The ability to give guests a faster check-in experience and allow them to order food and drinks remotely, whilst also being able to control staff and overhead costs, are all top priorities. 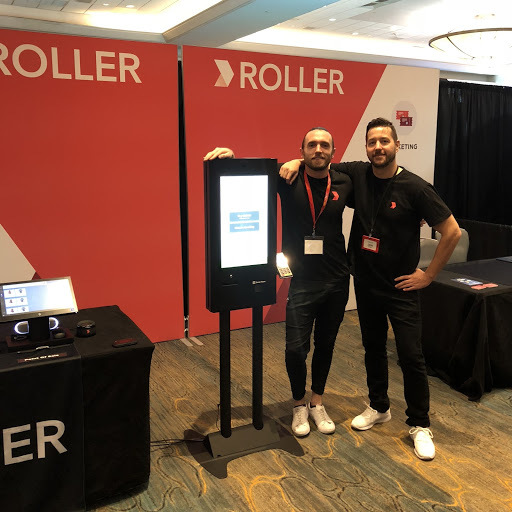 With this in mind, ROLLER was thrilled to offer a new product that received overwhelming positive reviews…the first Self-Serve Kiosk designed from the ground up, specifically for trampoline parks! As the trampoline park community got to seamlessly click through the kiosk, they were able to fill out waivers, find existing bookings, purchase jump socks and in seconds get a ticket printed which allowed them to fast-track their entrance into a park. As we see the future of the trampoline parks move in this direction, it’s really important to listen closely to the venues who will actually be using the new technology. With this in mind, ROLLER’s development team spent many months mapping out over 280+ user case scenarios for kids, parents and all types of jumping combinations to make sure our Self-Serve Kiosk was easy to use for everyone. Personally, I would say that’s what makes being on the team at ROLLER so rewarding, working hard with our venues to solve important problems and be able to offer them solutions that not only help their staff but make their jumpers want to come back time after time. 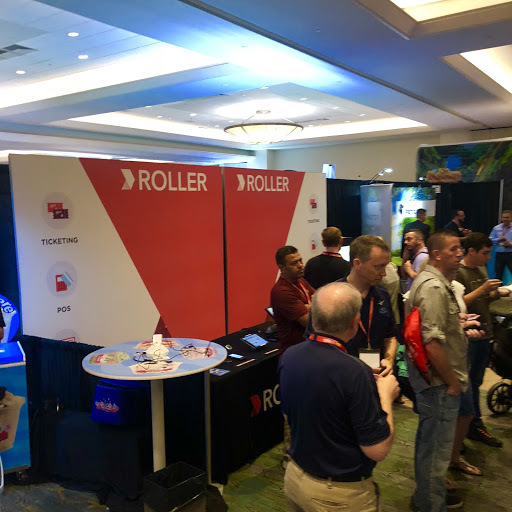 After yet another great industry gathering, the ROLLER team is already looking forward to seeing our trampoline park friends again at IAAPA in Orlando later this year! ROLLER hits EAS for a third consecutive year! This month saw ROLLER attend the EAS conference in Amsterdam for three days to speak with our clients, new operators, and industry leaders in general, from all across Europe. 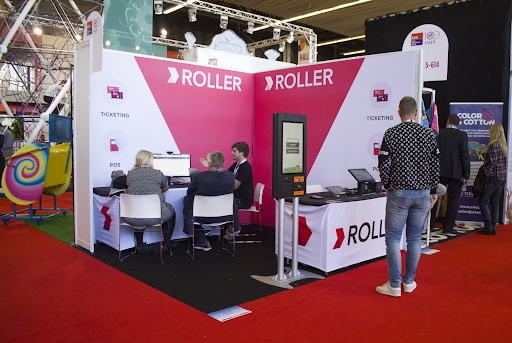 This was the third year in a row that ROLLER has attended this exciting conference, which showcases the best-of-the-best from the vibrant European Amusement community. As always, the IAPPA team did a fantastic job with the venue layout and facilities (which is an impressive feat considering the show actually changes location each year to a different European city!). 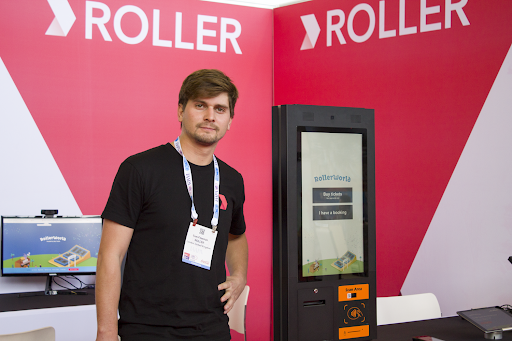 As with Barcelona in 2016, and Berlin in 2017, this conference was a huge success for the ROLLER team, giving us the opportunity to connect with a wide range of park operators, and gain a real 360% view about what improving the guest experience really means to them. Here it seems to be all about modernization, pushing the limits of new technology, and leveraging this to enhance the experience for operators and park attendees alike. In this sense, Virtual Reality was a real stand out star, with some interesting concepts being showcased, including “virtual” roller coasters, and “4D” immersive experiences. In the years to come it will be interesting to see how these emerging technologies continue to develop, and potentially revolutionise how we experience leisure at the core. ROLLER joined this theme, displaying a number of revolutionary new technologies of our own including our Self Serve Kiosk (first of its kind! ), along with our fully embedded RFID cashless system. Our own focus has always been on modernisation, which was reflected by the huge amount of interest we received from European operators who are keen to transform the traditional guest experience with automation, touchless payments, and seamless access control. Each year the EAS continues to grow, and ROLLER will certainly be back next year to keep a pulse on the European ecosystem, and of course, showcase our latest innovations and new technology. See you next year EAS!